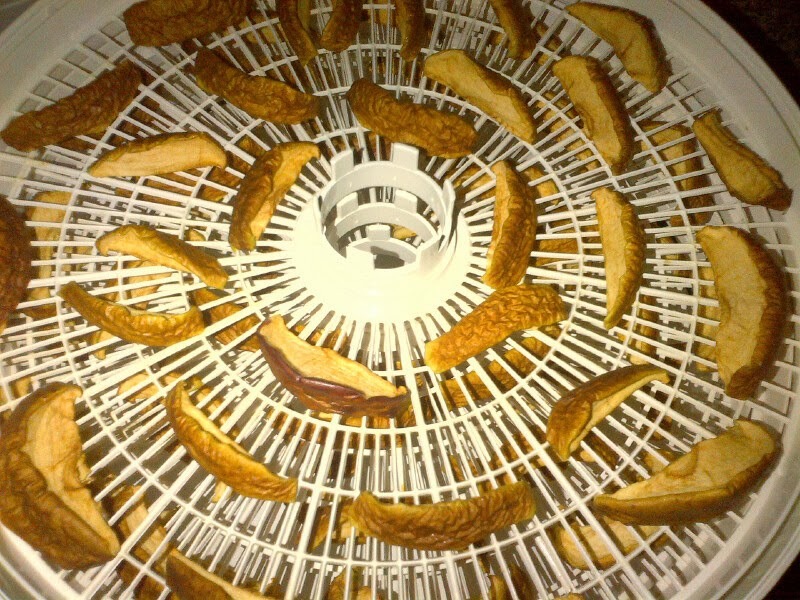 Dehydrating apples is a very good way to extend an apple's shelf-life. Apples will keep for a long time on their own but will last even longer when they have been dehydrated. If they last, that is. 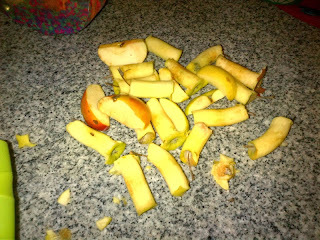 Dehydrated apples in my house don't last that long! That is okay though. 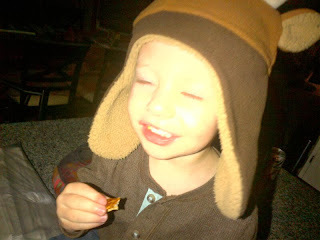 Better than eating chips. Dehydrating apples is a very simple process. 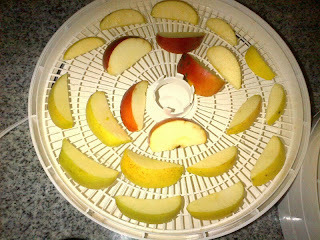 One only needs to have a dehydrator and some apples. Some people recommend dipping the apples in lemon juice or a store bought product like Ball's Fruit fresh but I do not mess around with those steps. These products are supposed to make the dehydrated apples resist turning brown. 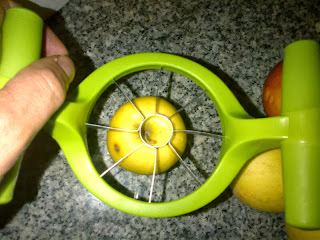 I am sure they do but I have found that slicing one tray of apples then immediately covering the tray with the top unit running avoids browning as well. Other people dip the apples in honey or sprinkle cinnamon on the apples before dehydrating. I am sure doing both of those things would enhance the flavor but I am content with the taste of my "natural" dehydrated apples. Plus, I am a cheapskate! Now for the process.... 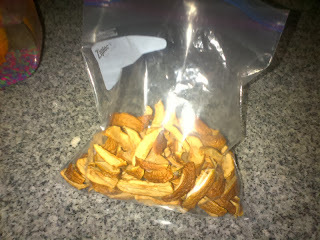 Check out the pics below that show how one of my batches of dehydrated apples. 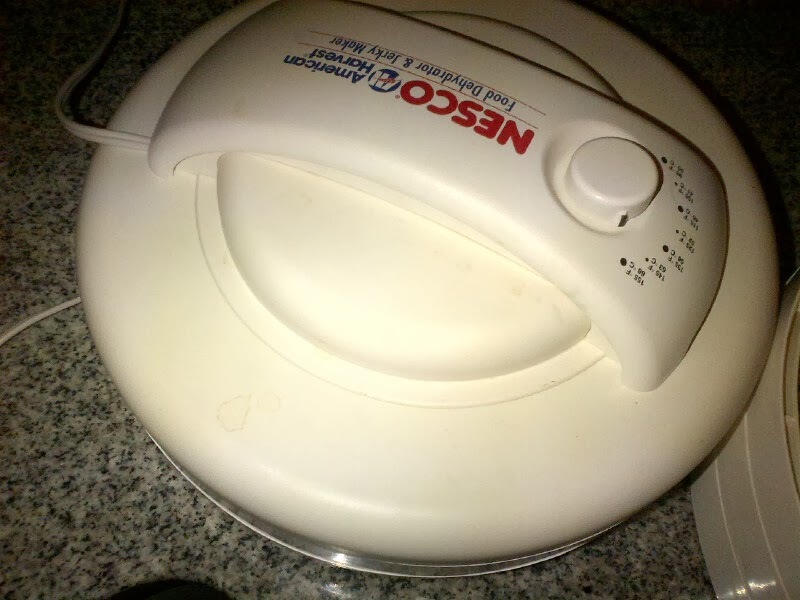 I am lazy so I use this tool. 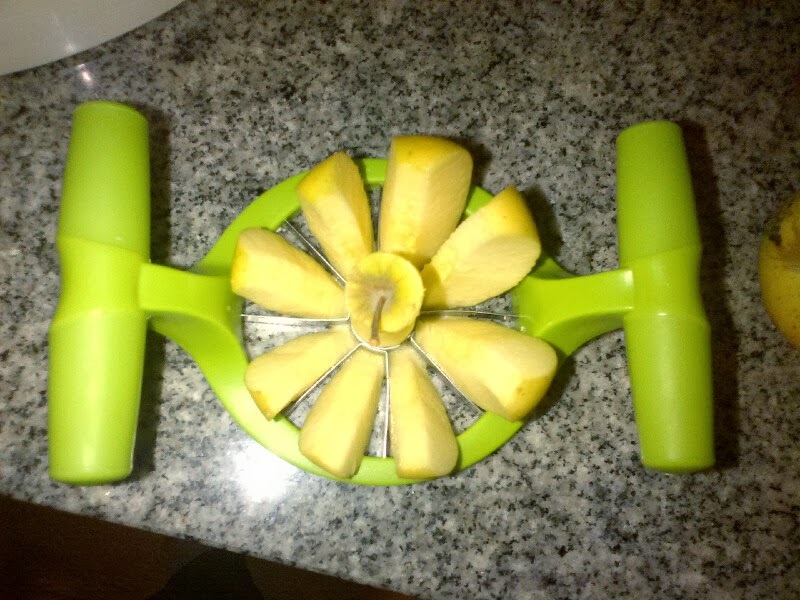 You can slice your apples any way you like. Tray 1- Make sure the apples do not touch each other. 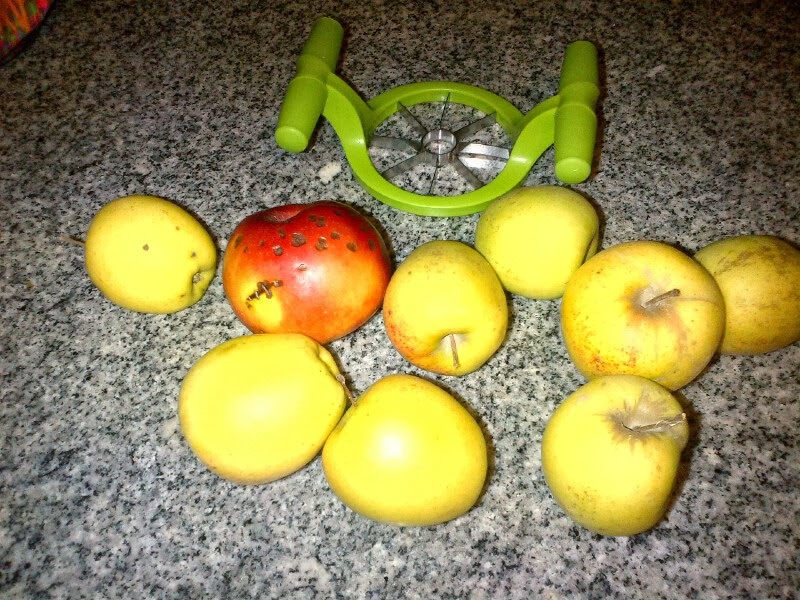 Cover right away or the apples may start to brown.